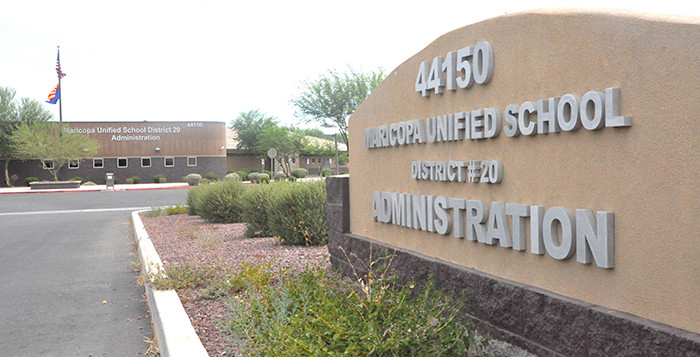 In an end-of-year changeup, Maricopa Unified School District approved dozens of personnel moves Wednesday. That included creating six new position titles involving more than 27 employees. Among those are 17 general education teachers, three and a half special education teachers, two nurses, three full-time substitutes, a plumber and a payroll clerk. The new positions, costing $1.2 million, are funded through enrollment growth, inflation funds and carry-forward Maintenance & Operations Funds (M&O). Seven current employees are being reclassified at a total cost of $48,800 from the same M&O funds. Among them are former high school Principal Rick Abel, who will become a high school teacher. Lead groundskeeper Chad Whittle becomes the grounds coordinator. Among 14 new hires are high school Spanish teacher Irma Preciado, MHS choir/guitar teacher Austin Showen, Pima Butte Elementary second grade teacher Kelly Gomez, Butterfield Elementary fourth grade teacher Daisha Johnson, high school art teacher Cathy Smith, Santa Rosa Elementary third grade teacher James Braciszewski, Desert Wind Middle School math teacher Barbara Fallstead, Maricopa Elementary kindergarten teacher Amberlyn Strasburg and Santa Cruz Elementary fourth grade teacher Teri Nordhoff. The district is also dealing with 13 resignations, two terminations and two coaches who did not return their contracts for renewal. Teachers resigning include MHS English teacher Kristen McCallin, SCES fifth grade teacher Suzanne Petersheim, MES ESS teacher Theresa Arellano and high school physical education teacher Cory Rovens. The resignations of high school counselors Rebecca Collins and Gretchen Mazaheri were accepted along with that of guidance counselor Cara Osmer. Not returning contracts were high school track coach and chemistry/physics teacher Sheldon Hutchinson and MHS girls’ basketball coach and SCES fifth grade teacher Melvin Mitchell. The terminations were a bus driver and a bus aide. Also in personnel, the board approved $1,000 mentoring stipends for 45 teachers.